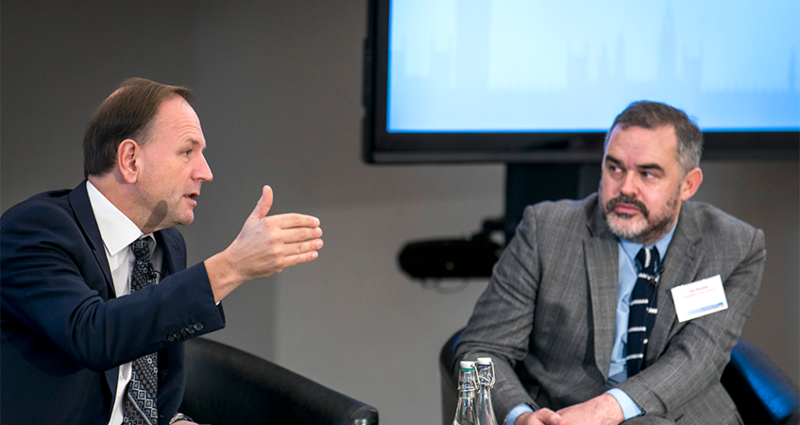 NHS England Chief Executive Simon Stevens and former NHS Employers leader Dean Royles were among the senior NHS figures to lead discussions at the first Summit for members of Managers in Partnership (MiP), the FDA and Unison joint-venture representing senior NHS managers. The new-look conference, held in London on 31 October, was part of MiP’s plans for a more active and engaged union, and gave members the chance to shape the union’s priorities for the coming year, explained MiP Chief Executive Jon Restell. Speaking three weeks before the Budget announcement of a conditional end to the seven-year cap on NHS pay, Stevens warned ministers against forcing NHS organisations to fund pay rises out of existing budgets. “That would be an own-goal of the first magnitude,” he told delegates. Stevens also backed MiP’s call for an increase in the share of UK national resources devoted to the NHS, pointing out that raising healthcare spending to the same levels as France and Germany would give the NHS an extra £23bn to spend. In a rousing and often funny speech, Royles, now director of HR at Leeds Teaching Hospitals, told delegates to stop being apologetic about their jobs and make the positive case for NHS management. “I think there are four things people want from work and, as managers and as a trade union, we have the ability – indeed the duty – to provide all four: meaning, belonging, growth and hope,” he said. The 200 delegates from across the UK also met in regional sessions to discuss local NHS developments and plan MiP’s response, and held a series of workshops to debate workplace issues such as equality, partnership working with employers, staff wellbeing, improving line management and combatting hostile attitudes towards NHS managers. The Summit was followed by a reception in the House of Commons, where delegates lobbied MPs and heard from speakers including health minister Philip Dunne and Bristol West MP and MiP member Karyn Smyth.